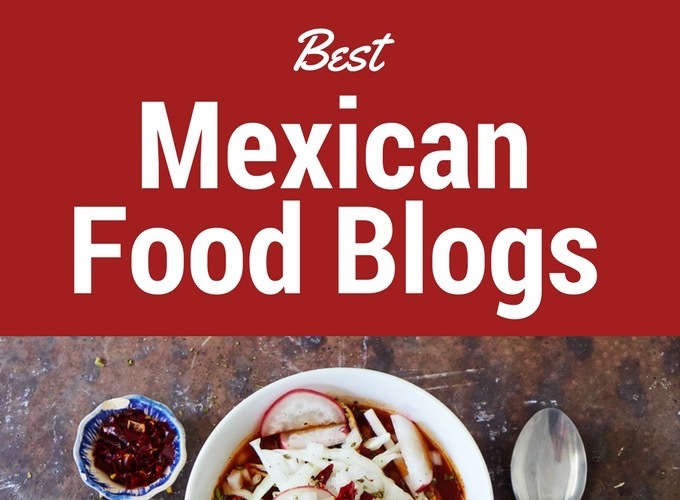 We want to share with you some of the best authentic Mexican food blogs which we think express the depth and diversity of Mexican cuisine. All are written by authors who fell in love with the food of Mexico. Some are written by professional chefs and some are written by people who through birth or circumstance have been immersed in Mexican culture and cuisine. All of the blogs have wonderful recipes and we have linked to some that we think you will enjoy. One of our favorite blogs is written by Mely Martinez original from Taumalipas and now residing in the U.S. Mely’s recipes bring back fond memories. Many come from Northern Mexico where I first learned to cook Mexican food. Try the Nuevo Leon style pork stew or the Mexican style beef tips for a taste of the North. Mely has been very generous with us sharing our recipes on her social media accounts. Much appreciated! Chicano Eats has great recipes that are photographed beautifully and probably the best part are the stories that Esteban tells with each recipe. The stories are recollections of the food he grew up eating and the role that food plays in his life. He describes his blog as “un pedacito de mi cultura and traditions through food.” A must visit site! Try the tacos de flor de calabaza. Mexican cookbook author and television host Pati Jinich has a truly beautiful blog. You may have seen her as the host of Pati’s Mexican Table on PBS. She was born and raised in Mexico which installed a deep love and understanding of mexican Cuisine. Her recipes are accessible and use ingredients that are easy to find in the U.S. Try the huitlacoche and squash blossom crepes. Leslie Téllez is a food writer and culinary guide who spent four years in mexico City. She runs the culinary tourism company Eat Mexico and recently published Eat Mexico: Recipes from Mexico City’s Streets, Markets & Fondas. Try the chiles rellenos with panela cheese and epazote. Rick Bayless is one of the best known names in Mexican cuisine.He host the show Mexico, One Plate at a Time on PBS. He has written 9 cookbooks and owns the Frontera Grill and Topolobambo restaurants in Chicago. He is a recipient of the Mexican Order of the Aztec Eagle, the highest honor authorized by the Mexican government to foreigners for his lifelong work promoting Mexican Cuisine. He knows his Mexican food. Try the classic white pozole. A celebration of mexican culture and food written by Leslie Limón, a Southern California native transplanted to a small town near Guadalajara. She also blogs about life in Mexico. Try the molletes; they look amazing. We couldn’t leave ourselves off this list could we? Some of our favorites, guacamole in the molcajete, classic salsa verde and Mexican pork chops. A very personal blog written by Rolly Brook which will give you insight into small town Mexican living. Lots of photos of cooking with his adopted family in Lerdo, Durango. Take a look at the Spanish English food lexicon. It will come in handy. Patrick Calhoun recreates the flavors he experienced when he lived in Cozumel. many of his recipes are specific to the state of Quintana Roo. If you know of any other authentic Mexican food blogs that you think we should list please let us know. Are there similarities in authentic mexican food to the American food? I absolutely love Mexican food, this all sounds so amazing. What is your favorite recipe to make and as well eat? How does Mexican food change from American food? What is the most popular made dish and what city in Mexico does it originate from? One on the most iconic dishes in Mexico is “chiles en nogada” which originated in the city of Puebla. Chilaquiles and originated from Mexico City. Are most of these dishes spicy or can you control the amount of spice without messing up the recipe? For most of the recipes you can add or reduce the spice without fundamentally changing it. Recipe & Holiday Guide earlier this year. I know there are many different types of food and they can be the opposite from the other but within all those “categories”… does the food taste the same from restaurant to restaurant or does the food taste different at every place? Nice Blog ! very well written. Mexican Food are always a loved cuisine. My question: is mexican food too spicy or not? If yes can we feed to the babies? What a good blog! We created a website for tortilla recipes, here you can find nice Mexican recipes and you can buy a tortilla press yourself! The profit will go to the indigenous people of Mexico, so you will help yourself and the local mexican community. of awesome and truly good stuff in favor of readers. I love Mexican food only for its delicious taste and recipes. Now Mexican food available all over the world. Recently one of my friends given his birthday treats at “Senor Burrito “restaurant in Canada and I enjoyed the test of Mexican food. because this point in time i am reading this enormous educational piece of writing here at my residence.